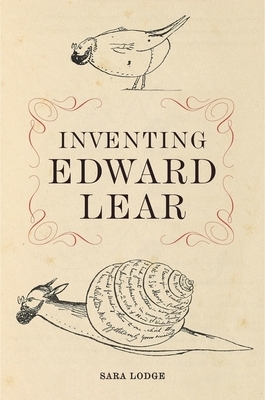 "Inventing Edward Lear is an exceptional, valuable, original study, presenting new materials on aspects of Lear's life and work." Edward Lear wrote some of the best-loved poems in English, including "The Owl and the Pussycat," but the father of nonsense was far more than a poet. He was a naturalist, a brilliant landscape painter, an experimental travel writer, and an accomplished composer. Sara Lodge presents the fullest account yet of Lear's passionate engagement in the intellectual, social, and cultural life of his times. Lear had a difficult start in life. He was epileptic, asthmatic, and depressive, but even as a child a consummate performer who projected himself into others' affections. He became, by John James Audubon's estimate, one of the greatest ornithological artists of the age. Queen Victoria--an admirer--chose him to be her painting teacher. He popularized the limerick, set Tennyson's verse to music, and opened fresh doors for children and adults to share fantasies of magical escape. Lodge draws on diaries, letters, and new archival sources to paint a vivid picture of Lear that explores his musical influences, his religious nonconformity, his relationship with the Pre-Raphaelite movement, and the connections between his scientific and artistic work. He invented himself as a character: awkward but funny, absurdly sympathetic. In Lodge's hands, Lear emerges as a dynamic and irreverent polymath whose conversation continues to draw us in.